The corner of Highland Avenue and Seaport Drive in Chester with the renovated Delaware County Electric Co. building along the Delaware waterfront in the background. Joining an already crowded list of cities and towns in the region that are submitting bids this week to lure Amazon's second headquarters to the area, Delaware County and Chester City officials are planning to compete for the online retail giant, officials announced Wednesday. At a news conference set just steps from Talen Energy Stadium in Chester City, county and municipal officials presented two sites that they believe could serve as viable locations for the e-commerce giant: the sprawling Chester City waterfront and nearly one million square feet of open and redevelopable land in Middletown Township, seven miles away. Combined, the officials said, the offerings in both townships offer Amazon almost 200 acres for commercial redevelopment. The Chester City waterfront is the primary focus of Delaware County's bid, the officials said, as it provides 115 largely untouched acres along the mostly barren strip. A second site in Chester, Community Hospital, a Crozer-Keystone Health System outpatient behavioral facility that is listed for sale, will be offered as an extension of the Chester City offer. To bolster its bid, however, county officials said they are planning to add two locations in Middletown Township — the former Franklin Mint site and the sprawling open space known as Pond's Edge along West Baltimore Pike — as a secondary offering that would provide Amazon more space. "Chester was once a thriving manufacturing town, and we believe Amazon has the ability to create a new beginning for its residents and our entire community," Delaware County Councilman Dave White said in a news release Wednesday. "This could be a transformative project." According to a site map that the county plans to submit to Amazon, officials have cobbled together multiple parcels for its bid that flank Talen stadium, home to Major League Soccer's Philadelphia Union. 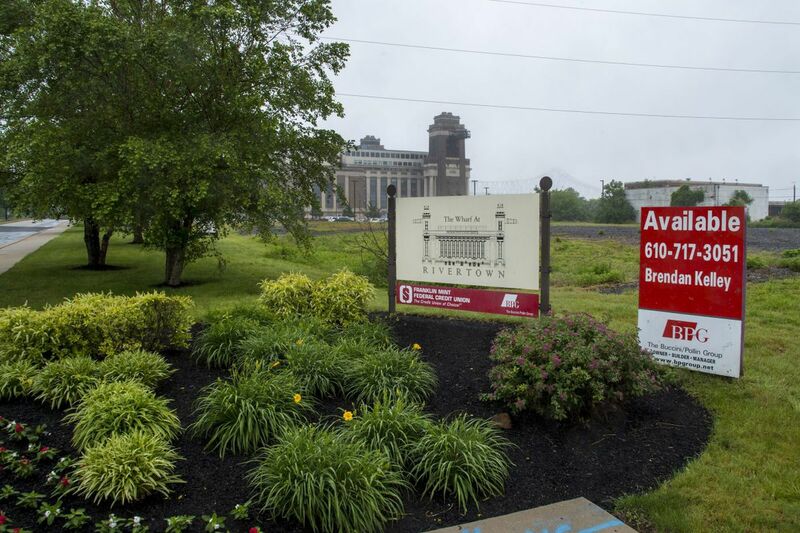 The parcels — many of which are parking lots or industrial land — are owned by multiple entities, both public and private, public records indicate, though a spokeswoman for Delaware County said the owners have indicated they are willing to sell. The sites potentially offer local tax incentives, such as the Keystone Opportunity Zone, to encourage redevelopment, officials said. Separately, the Community Hospital portion of the Chester site, at 2600 W. Ninth St., would provide 300,000 square feet of space. Officials declined to say specifically what kind of financial compensation the county or municipalities may offer Amazon. If the e-commerce giant selected Delaware County for its corporate campus, Amazon would provide the county — and Chester City, in particular — a kind of prosperity that the area has not seen in decades. Since Chester's manufacturing industry collapsed decades ago, the four-square-mile city has struggled economically. Its homicide rate is among the highest in the nation. Today, a third of Chester's residents live under the poverty line. More than a decade ago, in an attempt to reverse the city's fortunes, state and county officials worked to bring Harrah's casino and the soccer stadium to the Chester waterfront, predicting that the projects could spur residential and commercial projects nearby. At the time, it seemed likely: Wilmington-based development group Buccini/Pollin purchased acres alongside the stadium to build a $500 million mixed-used makeover that would include town homes, apartments, retail space, restaurants, and a convention center. The plans fell apart, however, amid the recession and the city's continuing financial woes. The waterfront today remains empty and sparsely developed. In whichever location it chooses, Amazon plans to invest more than $5 billion and create more than 50,000 jobs. Delaware County faces stiff competition, however. Since Amazon made its announcement last month, cities and counties nationwide have scrambled to assemble bids that could entice the corporate giant. In the greater Delaware Valley region, officials in Philadelphia, Camden County, Atlantic City, and Bensalem, as well as in the State of Delaware, have indicated they are planning to submit bids, which are due Thursday. Philadelphia has said it is pitching three sites: the Schuylkill Yards and uCity Square sites in West Philadelphia and South Philadelphia's Navy Yard. In its final push to highlight its strengths this week, the city has launched a #PhillyDelivers campaign to blitz videos and other information across the internet. Across the Delaware River, Camden County officials are also pressing forward with a plan, despite New Jersey's plans to support Newark's efforts instead. Meanwhile, Atlantic City is planning to propose sites near the city's rail terminal, and Bensalem officials said they also plan to pitch 675 acres of mostly undeveloped riverfront land there. The State of Delaware plans to announce its proposal at an event Thursday. Last month, Amazon said it is looking for a location with good universities, a strong workforce, and a highly connected transportation infrastructure, including a major airport, highways, and rail access. Delaware County seems to satisfy some of Amazon's requirements. The county is home to 14 colleges, universities, and community colleges. Chester City is just seven miles from Philadelphia International Airport. Middletown Township is not much farther. Both the city and the county are supported by major highway arteries and public transportation. Still, there are limitations: Delaware County does not provide Amazon with the same "downtown campus" energy that the retailer has had a preference for in the past. And Chester City remains plagued by vacant housing and crime. Even more, Amazon indicated in its Request for Proposal last month that regions should coordinate to submit just one proposal for each metropolitan area. As it stands, the Philadelphia region plans to submit multiple bids Thursday. Amazon has said it expects to announce a decision in 2018.